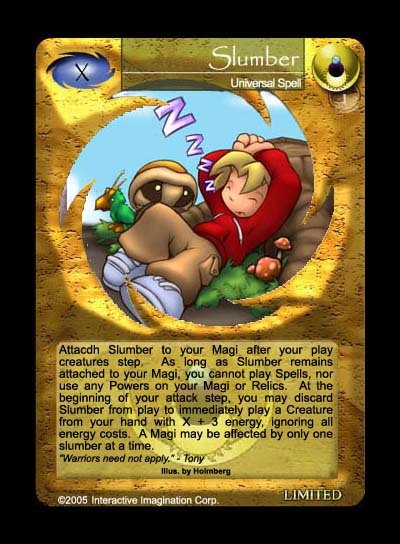 Slumber was the hardest card in Keeper's Quest to balance as everyone wanted that special Warrior's boot that had a huge disadvantage. Make the card too powerful and every magi will abuse it. Make the card too weak and nobody will play with it. The final version captures the feeling that the magi is sleeping, yet gives the magi a rather modest boost when a creature begins to attack.